Tree game is about making tree's and gardens for them. 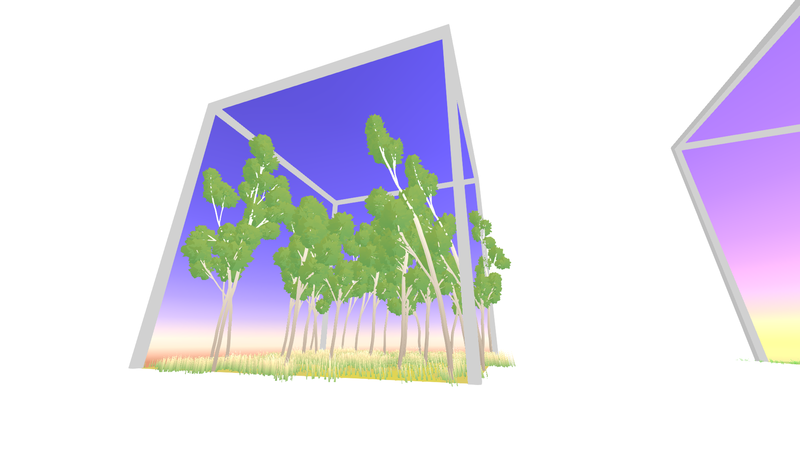 Customise tree's and their gardens by either hacking them using a command line system to have as many happy accidents as possible, or in a simple mode that allows for total control. Tree Game allows you full control over the tree's you make, allowing you to edit everything from their colours, to how they grow. 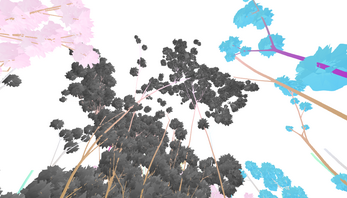 Using L-Systems to procedurally generate the tree's means you have total control over their shape and look. Tree's and Gardens are edited using a command line. 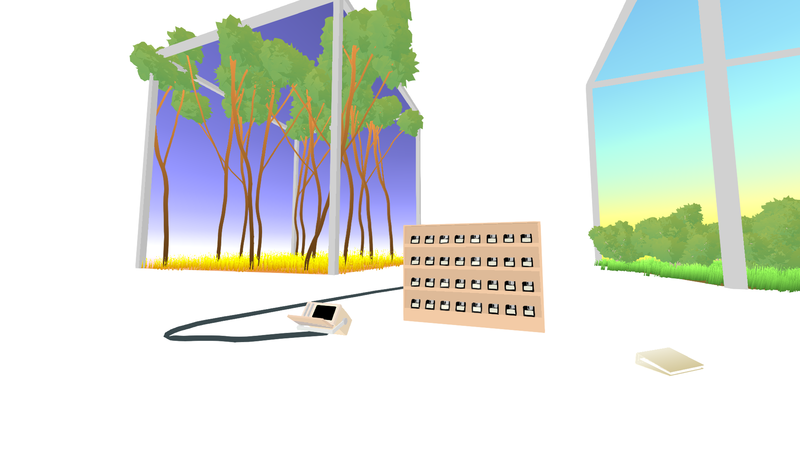 Saving and loading, tree's and gardens on to floppies. This version offers more of a challenge, and allows for more mistakes and happy co-incidences in the creation of your terrariums. The folder found in game contains an instruction manual as to how to use the computer. 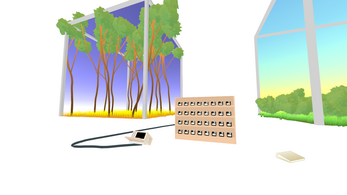 Tree's and Gardens are edited using an inbuilt UI that allows for easy control of all aspects of these things. 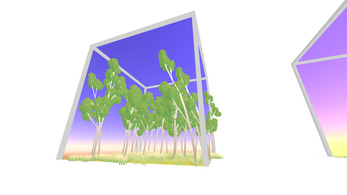 Click on the pot to edit a tree, or on a corner of a garden to edit a garden. 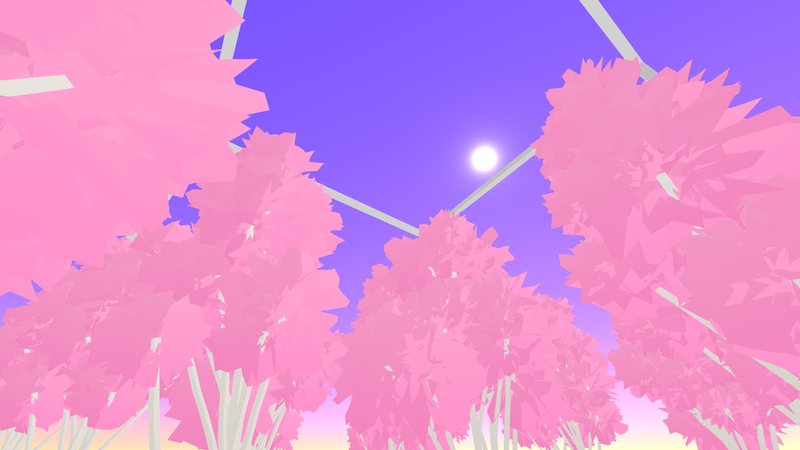 Have a walk through and infinitely generating forest of tree's. Explore, take pictures and see what the algorithm spits out! When programming and building L-systems, these symbols and letters are used to denote particular actions. a - used to denote a step forward. When the tree is made this will make a peice of tree. e - denotes a step forward in the same way as a but ends in a leaf. [ and ] - denote a branch. [ will start a new branch from the current one and ] will return to the branch split from when it encountered the [ symbol. brackets should always come in pairs. + - denotes a rotation in a random positive direction by 25 degrees. , - denotes a probabalistic outcome. This is used in rules to create probabilistic outcomes. This is writen in the form a>x,a,aa. Each of these (x, a, and aa) will have a 1/3 chance of being what a is replaced with in each generation. 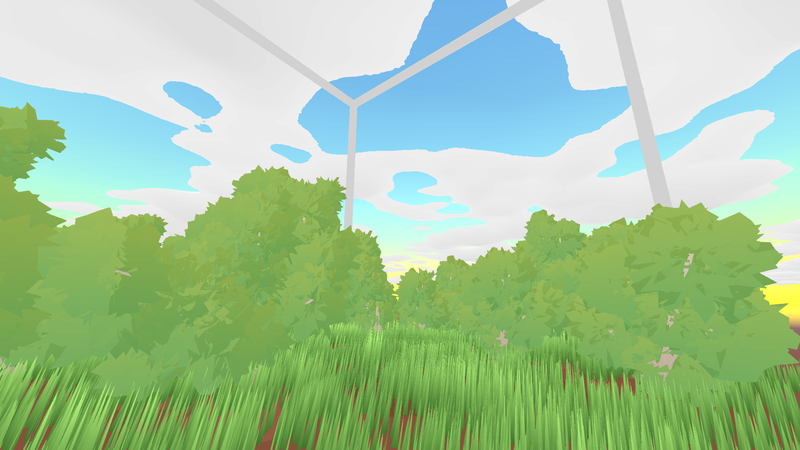 Tree game is still in development, with fixes and additional functions to (hopefully) come; if you find a bug, something breaks or there's something you want to see added, please say so!! !